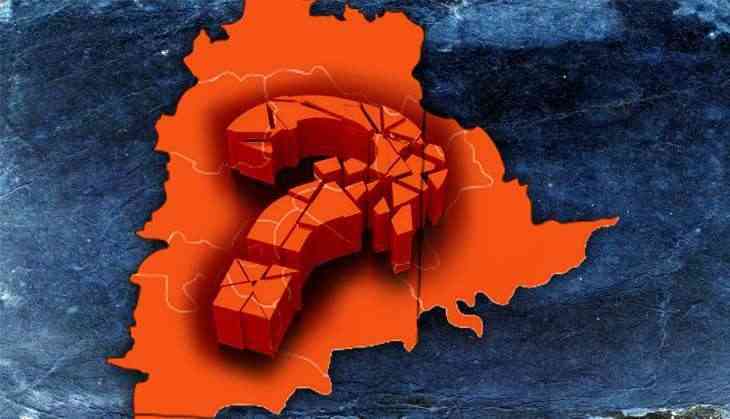 BJP believes the go-it-alone strategy in Telangana Assembly elections would give it an opportunity to assess its actual strength on the ground as it seeks to draw inspiration from the great strides the party has made in states such as Maharashtra and Assam. The BJP fought the 2014 elections in alliance with N Chandrababu Naidu-led TDP in Telangana and neighbouring Andhra Pradesh. But the BJP snapped ties with the TDP a couple of years ago in Telangana, seeing the party more of a "liability and burden". The ruling TRS, which rode to power on pro-Telangana statehood sentiment, has repeatedly dubbed the TDP as an "Andhra party". BJP's Telangana unit spokesperson Krishna Saagar Rao said the party did not have an opportunity to field its 'Karyakartas' as candidates because of the "continuous alliance burden" on it, for decades in undivided Andhra Pradesh and now in Telangana. "And our real strength was never exposed and even the party could not assess its real strength in all these decades...," Rao told PTI. "Currently, we look at it as historic opportunity for BJP to field its 'Karyakartas' as candidates in Assembly elections, and that one opportunity itself gives us a lot of happiness organisationally that we are able stand on our own feet and fight", he said. "We are looking for alternate vote of TRS in terms who in the state can be an alternative party which can replace TRS. We are trying to field ourselves in that spot", Rao said. According to him, there are many "inspiring states" like Haryana, Assam and Tripura and even Maharashtra where the party has exponentially grown when "we went all by ourselves". "So, we are looking forward for an exponential growth (in Telangana), and evolutionary growth is not what we are looking at. However, we have to see how conducive this political environment (in Telangana) is for that kind of growth," Rao added. Meanwhile, BJP Rajya Sabha member and national spokesperson, G V L Narasimha Rao, predicted that by opting to go in for early elections, the TRS would meet similar fate like that of his party when the Atal Bihari Vajpayee government did the same in 2004 but lost the Parliamentary polls. After the Assembly was dissolved on September six on the recommendation of the (now caretaker) TRS government, opposition Congress and the BJP asked the ruling party to explain why it chose to cut short the term of the House by more than eight months. The TRS hit back, saying Narendra Modi, the then Chief Minister of Gujarat, had dissolved the House prematurely in 2002, paving the way for early elections in that State. Narasimha Rao said: "When you draw a parallel, I think the parallel should be comparable." "This (Telangana going in for early elections) at best can be compared with the advancement of 2004 Parliamentary polls, and we certainly suffered as a result of that advancement, and possibly KCR (as caretaker Telangana Chief Minister K Chandrasekhar Rao is popularly known) is going to meet a similar fate", Narasimha Rao told PTI. The BJP won five seats and the TDP 15 in the 2014 elections to the 119-member Telangana Assembly.